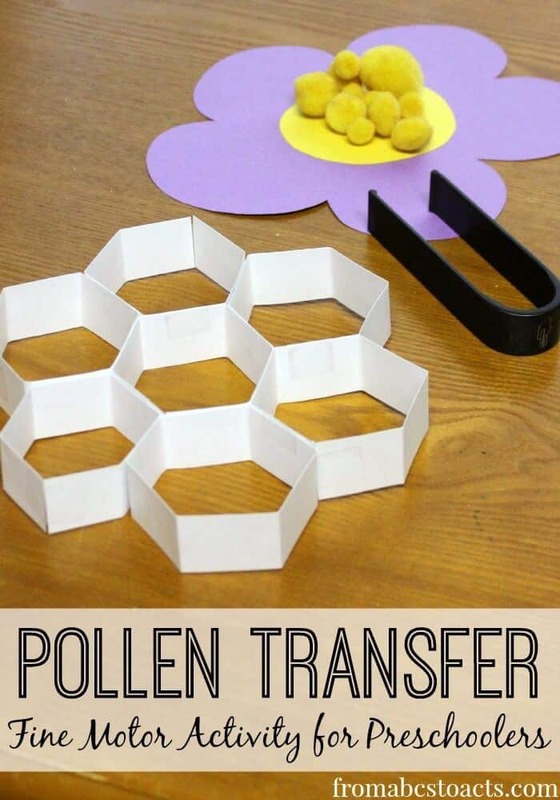 This pollen transfer activity works well with both toddlers and preschoolers and is perfect for giving those fine motor skills a little extra practice. Before you try this activity, find and read a couple of books about bees and how pollination helps plants grow. This simple but useful activity can also be used as another opportunity to practice counting skills as you move the “pollen” from the flower into the honeycomb. This is just adorable. Make sure to record it or take photos, they will be priceless. Click here to start your pollen transfer fine motor activity for your homeschool preschool by fromabcstoacts.com.